“Innovation. Disruption. No BS – because we love our country.” That is the “Purple Cow” party power tag. The party is officially called “Capitalist Party of South Africa”, and is defending the basic income policy, particularly in the Negative Income Tax (NIT) form. The party is proposing an income top-up for all those earning less than the tax threshold in South Africa, which is adjusted for inflation and age. Below this level, working citizens do not pay (income) tax. If, for a given citizen, the tax paying threshold is 78000 Rands/year (5536 US$/year), the party is proposing to tax the difference between the person’s income and the threshold at a 50% rate, offering the rest as a top-up (NIT). In a numerical example, a person earning the minimum wage of 3500 Rand/month (248 US$/month), or 42000 Rand/year (2981 US$/year), would get an extra amount of 1500 Rands/month (106 US$/month) (the difference between 78000 Rands/year and 42000 Rand/year, divided by two, monthly). That amounts to a 43% increase in monthly income. The policy extends to all people below the threshold, including unemployed, in or out of social benefits. That means, in practice, that no one ever gets less than 3250 Rands/month (231 US$/month), which is close to the South African official minimum wage. To contextualize, social retirement grants from the South African government, presently goes only as far as 1700 Rand/month (121 US$/month) (around half the minimum wage). In a short explicative video, the Capitalist Party refers that, due to the tax system rules, fewer and fewer people are paying taxes, since unemployment is growing faster than employment. This, of course, places great pressure on social security, in order to disburse social grants to around 17 million people (out of a 55 million country population). So, the way in which the NIT is financed gets to be crucially important. To that end, and over the 78000 Rands/year income threshold, however, taxes would have to increase significantly. 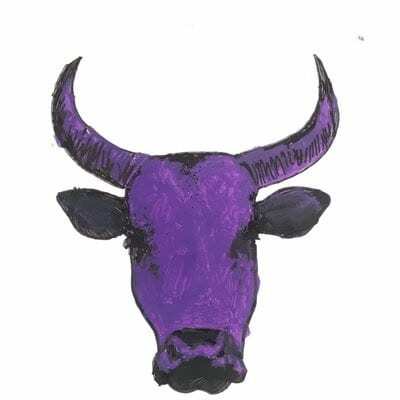 In the “Purple Cow” proposal, individuals earning 125000 Rand/month (8872 US$/month) or more would be taxed around 47%, or a 31% increase from what they are paying at the moment. Although this final tax value is not unprecedent, not even uncommon among, for example, north European countries, it may be hard to go for such an increase in one single step, within the South African context. To moderate the expected tax hike for the better off, the party’s coordinator Kanthan Pillay speaks of applying the NIT scheme to only those in paid employment. That, however, is contrary to the spirit of universality (professed in the proposition itself), and overlooks the fact that unemployment and near-unemployment rates as high as 40% in the country. Pillay also explains that the party’s proposal aims at improving the labour force competitiveness with other countries, such as China. The question remaining might be to know if the “Purple Cow” party is proposing to give financial safety to all South Africans, or to help degrading the labour force’s human rights (both might not be possible). Admittedly, as professed by Kanthan Pillay, the NIT proposal “is our riposte to the constant clamour for the Basic Income Grant”. However, and according to him, it should be a policy to “conquer unemployment”, given the path of jobs destruction created by automation, and to abolish the minimum wage, welfare, social security and government assisted programs. The “Capitalist Party of South Africa”, therefore, seems to adhere closely to the original principles set forth by Milton Friedman, when he first introduced the NIT concept in the United States. Hello – thank you for taking the time to write about the Capitalist Party of South Africa. Please note that our website is capitalist.org.za. We are happy to engage further on the topic on NIT. Person A who earns nothing takes home 3200R/month. Person B earns 3500R pre-tax and takes home 5000R, so isn’t this effectively a 50% bottom tax bracket? That seems like it will discourage working in an attempt to raise tax revenue from the poorest citizens.